As you know we do try our hardest to find the cheap eats in each country, one because it’s the sensible thing to do when travelling for 5 weeks and two, why spend more when you can get perfectly tasty food else where that is just as good? 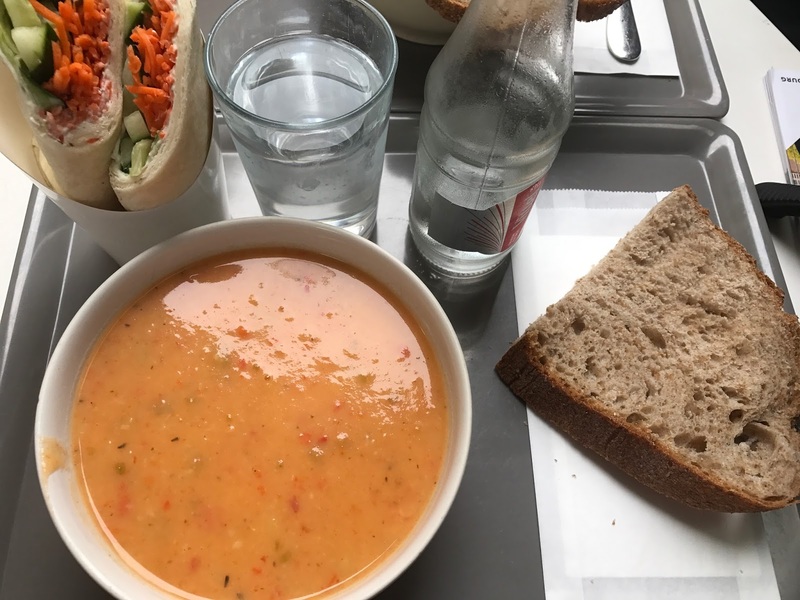 When on the hunt for the best cheap eats, we found this to be number one on the list and who doesn’t like some soup? Today wasn’t too hot, just enough wind to feel like you could do with some warm comfort food. It was a much bigger place than we thought, with a massive spoon above the door. There was a cute outdoor space where we sat and enjoyed our soup dishes. 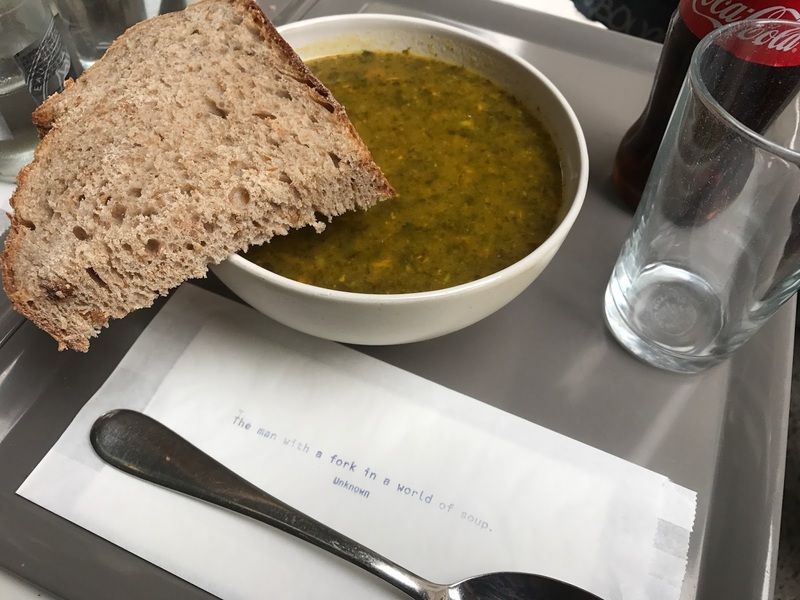 James got the soup of the week: celery and red pepper soup, as a meal deal along with a little wrap and a drink, while I, Jessica got the International Soup: sweet potato and spinach with a drink. It was very filling and we were both very content with the amount, bursting with flavour. Would really recommend this place if you’re ever in Luxembourg. As if we haven’t had enough soup today, we opted for an early dinner as we’d had already done all our sightseeing and souvenir buying that we’d planned for the day, so we found this Chinese restaurant down the road from A la soupe. It was quite when we arrived, so we had plenty of choice to pick where to sit and once again we sat outside to enjoy the last few rays of sun. 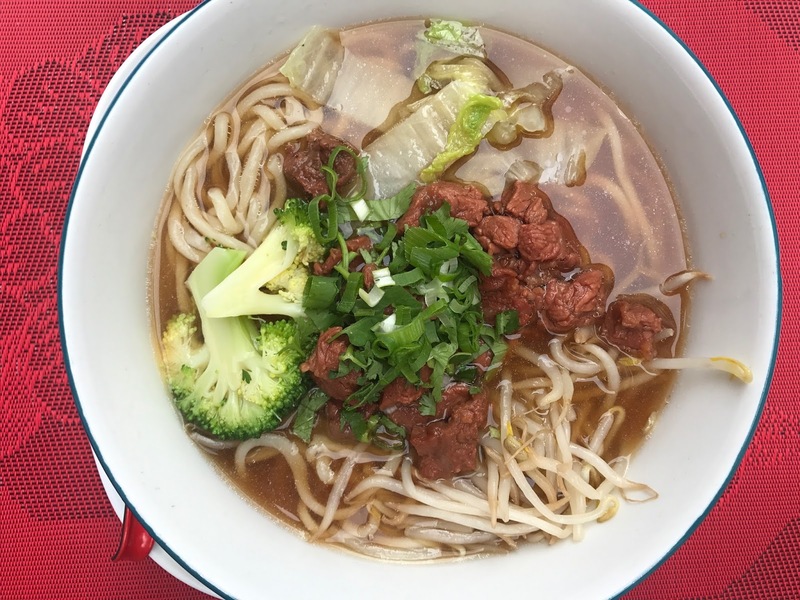 We both ordered the beef noodle soup and it came out very quickly, we weren’t sure to be impressed or to be worried, if I’m being honest but it was very tasty though, full of flavour and the beef was very tender. We also found out that the noodles are homemade, which is always a lovely touch. All in all, we’ve had a very soupy day and a very tasty one at that!